Phillips is an academic in the School of Education, where she teaches early years, arts and literacy education. Louise has more than twenty-five years of experience in early childhood education and eight years of experience researching children’s rights and citizenship. Her interest in children’s rights in education is reflected in her active membership of the European Educational Research Association Network Research on children’s rights in education and her position as one of two international partners on the Swedish Research Council grant Education as a greenhouse for children´s and young people´s human rights. 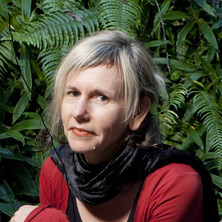 Furthering research in children’s citizenship, Louise is co-principal investigator of Civic Action and Learning with Young Children: Comparing Approaches in New Zealand, Australia and the United States (funded by the US Spencer Foundation), leading the Australian investigation of preschoolers’ civic capabilities. Louise is one of eight Australians to be granted a prestigious Spencer Foundation major grant in the last ten years. Her interest in children’s citizenship has also led her to collaborate with social practice artists to explore opportunities for children’s participation in the public sphere through an innovative relational arts project titled The Walking Neighbourhood hosted by Children. The innovation of this arts-research collaboration has been awarded: The University of Queensland Faculty of Social & Behavioural Sciences Innovation Award (2013); and the international Walk21 Walking Visionaries Jury Prize (2015). Louise holds a national professional role as Convenor of the Qualitative Research Methodologies Special Interest Group for the Australian Association for Research in Education (AARE). The participatory art project The Walking Neighbourhood hosted by children is an arts and research collaboration that provokes rethinking of the geographies of fear (Valentine, 2004) that control children’s limited access to the public sphere (e.g., see Gill, 2007, Malone, & Rudner, 2011), and perpetuate commonly held perceptions of children as incompetent becomings (e.g., see Coady, 2008). The Walking Neighbourhood project confronts the public imaginary through public performance of child-led neighbourhood walks that foreground children’s visibility and independence in public spaces. The project supports the inclusion of children and children’s perspectives in urban participation. To date the project has taken place in Fortitude Valley, Brisbane, Australia; Old Chiang Mai City, Chiang Mai, Thailand; Bagot, Darwin, Australia; Seoul, Korea; Redfern and Kings Cross, Australia; Kuopio, Finland. Adult audience members interviewed after experiencing a child-led walk consistently speak with delight of the experience and how it invoked them to understand children and the neighbourhood differently, cultivating (re)thinking and (re)imagining of children, childhood and public spaces, effectively cultivating public pedagogy. Two professions who have voluntarily declared the impact of The Walking Neighbourhood project on their practice are urban designers and city councillors. Urban designers intently listen to and observe the young walk hosts' interactions with urban spaces and assert the inclusion of consultation with children in their future designs. City councillors see the performance of child-led walks as a means to foreground the inclusion of children and families in council policy and plans. In sum, the project produces intergenerational civic learning and engagement which in turn builds stronger communities. Cultural exchange between participants furthers intercultural understandings and empathy nurturing social participation of young people as active citizens of urban communities today. The envisaging of policy performance "for good"... The provate face of performance measure and what it looks like to the "players", the alternate ways that policy performance is played out away from the glare of the media and the public spotlight. What "good" can come of these processes and policies? Do kindy boot camps get children ready for school?